The 2009 financial stimulus bill ran to more than 1,100 pages, yet it wasn’t even given to Congress in its final form until thirteen hours before debate was set to begin, and it was passed twenty-eight hours later. How are representatives expected to digest so much information in such a short time. The answer? They aren’t. 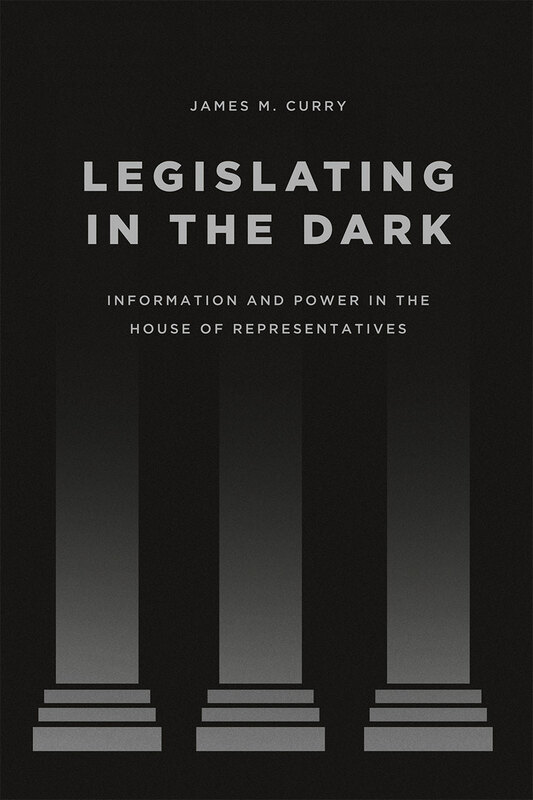 With Legislating in the Dark, James M. Curry reveals that the availability of information about legislation is a key tool through which Congressional leadership exercises power. Through a deft mix of legislative analysis, interviews, and participant observation, Curry shows how congresspersons—lacking the time and resources to study bills deeply themselves—are forced to rely on information and cues from their leadership. By controlling their rank-and-file’s access to information, Congressional leaders are able to emphasize or bury particular items, exploiting their information advantage to push the legislative agenda in directions that they and their party prefer. Offering an unexpected new way of thinking about party power and influence, Legislating in the Dark will spark substantial debate in political science.